Fallon Confidential: FALLON OBSESSION: Marcia Moran Druzy Rings! 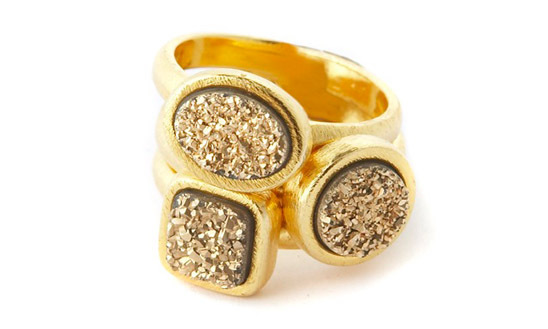 FALLON OBSESSION: Marcia Moran Druzy Rings! We first became aware of Marcia Moran a year ago through a friend who wore one of her pieces. We were immediately obsessed with the druzy stone. It has such a unique look with its rough, rocky texture and jagged sparkle. With the holiday season comes holiday parties, and these druzy rings are the perfect addition to any outfit! 5 Days of Christmas: Stocking Stuffers!